The Dukes of Hazzard follows the adventures of "The Duke Boys", cousins Bo and Luke Duke, who live in a rural part of the fictional Hazzard County, Georgia with their attractive cousin Daisy and their wise old Uncle Jesse, as they race around in their customized 1969 Dodge Charger stock car, christened (The) General Lee, evading crooked county commissioner Boss Hogg and his inept county sheriff Rosco P. Coltrane, and always managing to get caught in the middle of the various escapades and incidents that often occur in the area. Bo and Luke had previously been sentenced to probation for illegal transportation of moonshine; their Uncle Jesse made a plea deal with the U.S. Government to stop brewing moonshine in exchange. 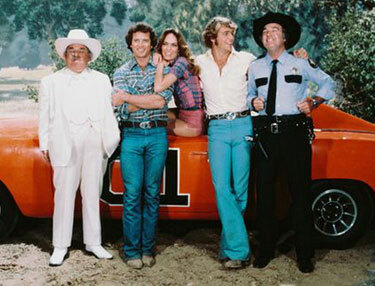 As a result, Bo and Luke are not allowed to carry firearms (instead, they often use compound bows, sometimes with arrows tipped with dynamite) or to leave Hazzard County, although the exact details of their probation terms vary from episode to episode: sometimes it is implied that they would be jailed for merely crossing the county line; on other occasions, it is shown that they may leave Hazzard as long as they are back within a certain time limit; several other technicalities of their probation also came into play at various times. Corrupt county commissioner Jefferson Davis "Boss" Hogg, who either runs or has fingers in just about everything in Hazzard County (and whose exact powers, much like the terms of the Duke boys' probation, often vary between episodes) is forever angry with the Dukes, in particular Bo and Luke, for eternally foiling his crooked scams and is always looking for ways to get them out of the picture so that his plots have a chance of succeeding. 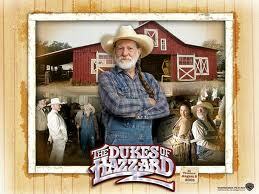 Many episodes revolve around Hogg trying to engage in an illegal scheme, sometimes with aid of hired criminal help. 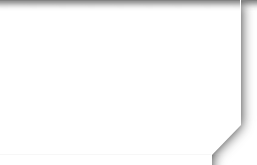 Some of these are get-rich-quick schemes, though many others affect the financial security of the Duke farm, which Hogg has long wanted to acquire for nefarious reasons. Other times, Hogg hires criminals from out of town to do his dirty work for him, and often tries to frame Bo and Luke for various crimes as part of these plots. Bo and Luke always seem to stumble over Hogg's latest scheme, sometimes by curiosity, and often by sheer luck, and put it out of business. 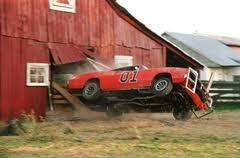 Despite the Dukes often coming to his rescue (see below), Hogg forever seems to have an irrational dislike of the clan, particularly Bo and Luke, often accusing them of spying on him, robbing or planning to rob him, and other supposedly nefarious actions as he believes they are generally out to get him. The other main players of the show are Cooter Davenport, who in very early episodes was seen to be a wild, unshaven rebel, often breaking or treading on the edge of the law, before settling down and becoming much more laid-back, and who owns the local garage and is the Duke family's best friend (he is often referred to as an "honorary Duke"), and Enos Strate, an honest but naive young Deputy who often finds his morals conflicted as he is reluctantly forced to take part in Hogg and Rosco's crooked schemes. In the third and fourth season, when Enos leaves for his own show, he is replaced by Deputy Cletus Hogg, Boss's cousin, who is slightly more wily than Enos but who is generally also a reluctant player in Hogg's plots. 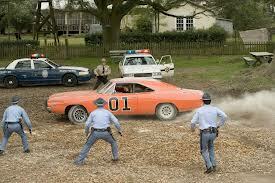 Owing to their fundamentally good natures, the Dukes often wind up helping Boss Hogg, albeit grudgingly. More than once Hogg is targeted by former associates who are either seeking revenge or have turned against him after a scheme has unravelled in one way or another. Sheriff Rosco also finds himself in trouble more than once. On such occasions, Bo and Luke usually have to rescue their adversaries as an inevitable precursor to defeating the bad guys; in other instances, the Dukes and Hogg and Rosco mutually join forces to tackle bigger threats to Hazzard or one of their respective parties. 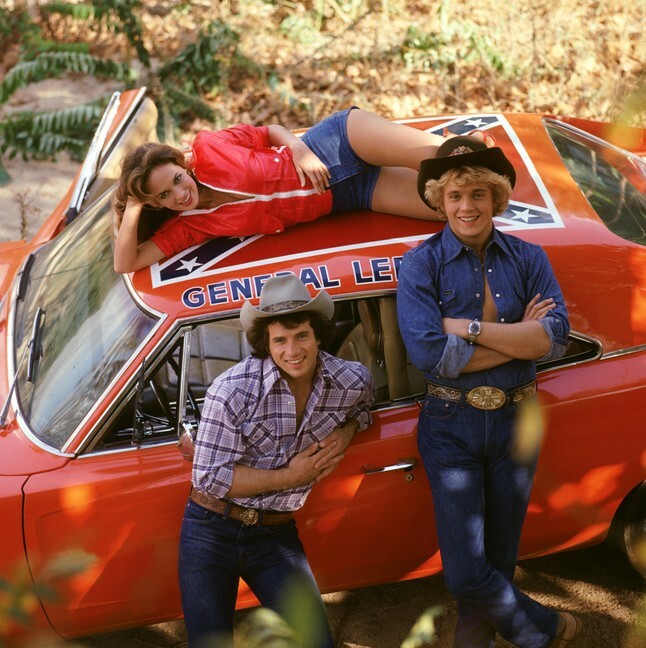 These instances became more frequent as the show progressed, and later seasons saw a number of stories where the Dukes and Hogg (and Rosco) temporarily work together.